Flat feet- or fallen arches- refers to a condition of the foot in which the arch of the foot collapses while standing (or in some extreme cases, even when no weight is applied to the feet), causing the sole of the foot to become flat. If the flat foot is rigid and causing problems, you will be referred to a foot specialist. Talk with your doctor about the best treatment plan for you. Options include the following. Physical Therapy and Exercises. Physical therapy may relieve discomfort. You may be given a specific stretching and strength program. You may also have treatment to help manage the discomfort. Exercises can help with the strength of the surrounding muscles. It may relieve some of the pressure in the foot. Orthotics are shoe inserts that support the foot. These inserts may help to reduce pain and disability in some people. In mild cases, a well-fitting pair of shoes with arch support may be all that is needed. Flat feet caused by nerve or muscle disease may need special braces. Fallen arches are usually treated using stretching exercises, physical therapy and medication (to reduce inflammation). In extreme cases however, surgery is recommended. Wear Supportive Footwear. Spend the money it takes to get proper fitting and quality footwear with good arch supports. 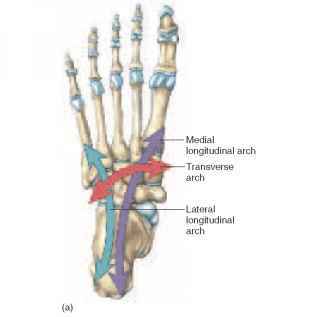 Most sufferers of fallen arches and plantar fasciitis are born with high arches that sag as they get older. Good footwear can prevent this from becoming a problem. Flat feet, however, can become just as problematic. So, really we should all be wearing good footwear to avoid this potentially painful condition. Take It Easy. If your heel starts to hurt, take a rest. If the pain doesn?t go away after several days of resting, it may be time to see a podiatrist. Orthotics. Special insoles to support the arch of the foot can provide some much needed help. You can buy these at your local drugstore (not recommended), or you can have them specially made and custom fit for your feet. It can take awhile to get just the right one for your foot, but sometimes it can be just what you needed. Weight Control. Yes, maintaining a sensible diet with your ideal weight can be beneficial in many ways. It makes sense to think that the more weight your arches are supporting, the more easily they will fall and become painful. Every time you take a step, one of your heels has to support the whole weight of your body. As you move, the load is equal to 20 times your own body weight. The load is softened by a pillow of fat under the heel and a large sinew or ligament (the fibrous tissue that joins muscle and bone together) under the sole of the foot. This sinew is called the plantar fascia and it pulls the heel bone forward (in opposition to the Achilles tendon, which pulls it backwards). If an athlete does not warm up properly or a person with a sedentary job exercises heavily during the weekends, they might overload the muscles of the calf or strain the Achilles tendon, which joins these muscles to the heel bone. When overloaded the tendon becomes tight and painfully inflamed, which places extra strain on the plantar fascia and muscles in the soles of the foot. The strained plantar fascia becomes inflamed and may even develop tiny cracks. This is known as plantar fasciitis. Every time you sit down, sleep or otherwise rest your legs, the muscles of the sole of the foot will contract in an attempt to protect the damaged sinew. The pain in the heel will then no longer be felt. But when you get up again and put weight on the foot, the foot and ankle may feel stiff (because of the inflammation) and the pain will return either at the back of the heel or on the soles of the feet. When you start to move, the plantar fascia may crack even more causing a vicious cycle of damage and pain. Inflammation at the point where the Achilles tendon (at the back of the heel) or the plantar fascia (under the heel) join the heel bone (a bone known as the Calcaneum) stimulates cells that form bone to deposit bone in this area, eventually leading to the build up of a bony prominence on the heel bone called a calcaneal spur. But it's not the spur itself that causes the pain. The spur is a sign of chronic inflammation in the connective tissues, which is the result of a prolonged overload. It should also be pointed out that heel spurs can occur on their own, without plantar fasciitis or pain, or may be linked to some types of arthritis (inflammation of the joints). And plantar fasciitis or Achilles tendonitis don't necessarily lead to spur formation. The plantar fascia spans the long arch of the foot from the heel to the base of the toes, where it blends with the soft tissues, then anchoring to the base of the toes. Plantar Fascia. The plantar fascia is a common cause of heel pain. As the bony attachment at the heel is considered the plantar fascia?s ?weak spot?, the patient will present with pain at the heel, mainly on the inside. The most common predisposing factor to this condition is the pronating (flattening feet) - 52% - whilst there is also some evidence that a very high arch, in a rigid foot (pes cavus), also was reasonably common - 42%. There are actually not one but two different types of leg length discrepancies, congenital and acquired. Congenital means you are born with it. One leg is structurally shorter compared to the other. As a result of developmental periods of aging, the brain senses the gait pattern and recognizes some variance. Our bodies typically adapts by tilting one shoulder over to the "short" side. A difference of less than a quarter inch is not grossly abnormal, require Shoe Lifts to compensate and generally doesn't have a profound effect over a lifetime. Leg length inequality goes largely undiscovered on a daily basis, however this problem is simply fixed, and can reduce quite a few incidents of lower back pain. Therapy for leg length inequality typically involves Shoe Lifts. 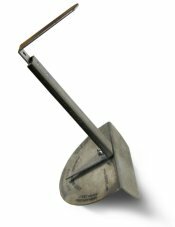 Many are cost-effective, commonly costing under twenty dollars, in comparison to a custom orthotic of $200 and up. Differences over a quarter inch can take their toll on the spine and should probably be compensated for with a heel lift. In some cases, the shortage can be so extreme that it requires a full lift to both the heel and sole of the shoe. Lower back pain is the most widespread condition affecting men and women today. Over 80 million people have problems with back pain at some point in their life. It's a problem which costs employers millions of dollars every year on account of time lost and output. Innovative and more effective treatment solutions are continually sought after in the hope of lowering economic influence this condition causes. People from all corners of the earth suffer from foot ache as a result of leg length discrepancy. In these cases Shoe Lifts are usually of very useful. The lifts are capable of eliminating any discomfort and pain in the feet. Shoe Lifts are recommended by numerous qualified orthopaedic doctors. So as to support the human body in a balanced manner, feet have a critical role to play. Irrespective of that, it is sometimes the most neglected area in the human body. 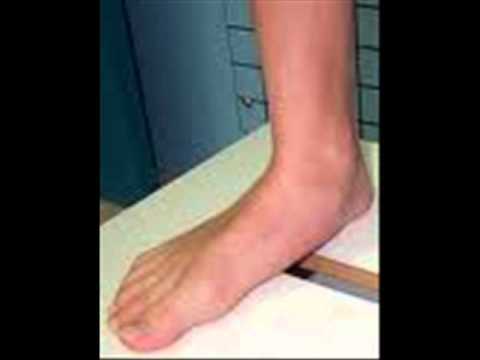 Many people have flat-feet meaning there may be unequal force placed on the feet. This causes other areas of the body like knees, ankles and backs to be affected too. Shoe Lifts guarantee that correct posture and balance are restored. Although it may take years to become a problem, once it appears, it may cause considerable suffering. 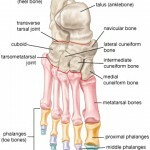 Because of proximity to the tendons, the spur is a source of continuous painful aching. The sensation has been described as "a toothache in the foot." When you place your weight on the heel, the pain can be sufficient to immobilize you.